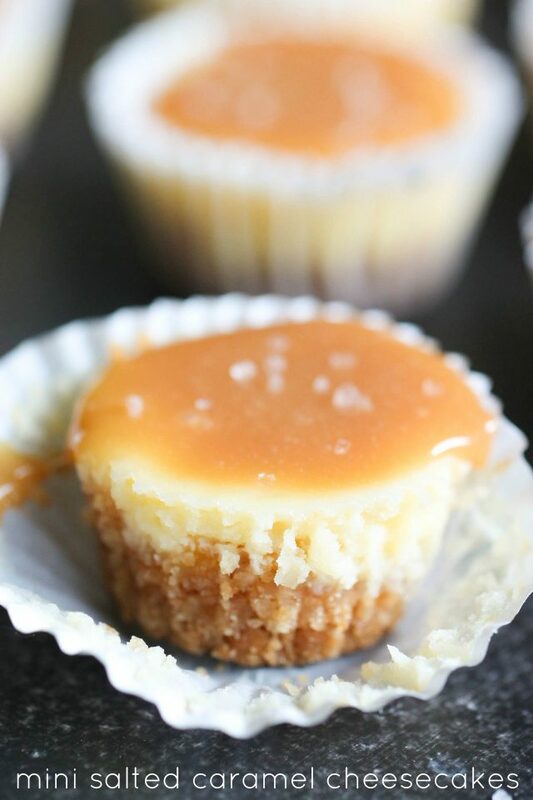 I’m a huge fan of salted caramel – add it to cheesecake and it’s a whole new kind of love story. The crust is super easy to make – and the crushed vanilla wafers mixed with the saltiness of the caramel, you just can’t go wrong! Preheat oven to 350 degrees and line miniature muffin tins with paper liners. Mix together the crushed vanilla wafers and melted butter until fully incorporated and press 1/2 teaspoon of the crushed vanilla wafer mixture into each paper cup. In a large bowl, beat cream cheese, sugar, eggs, lemon juice and vanilla until light and fluffy. 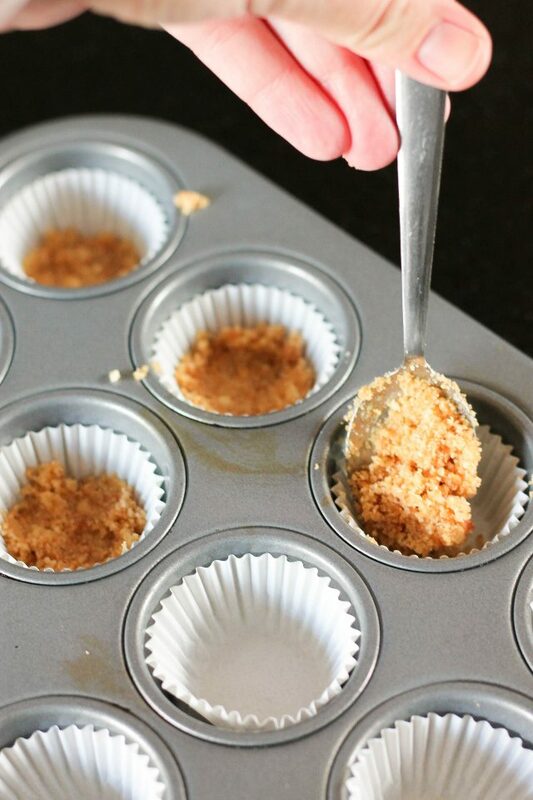 Fill each miniature muffin liner with cream cheese mixture, almost to the top. Place pans in the oven and bake for about 15 minutes. Let cool. In a small pan over low heat, combine caramels, milk, and salt, stirring constantly until smooth. 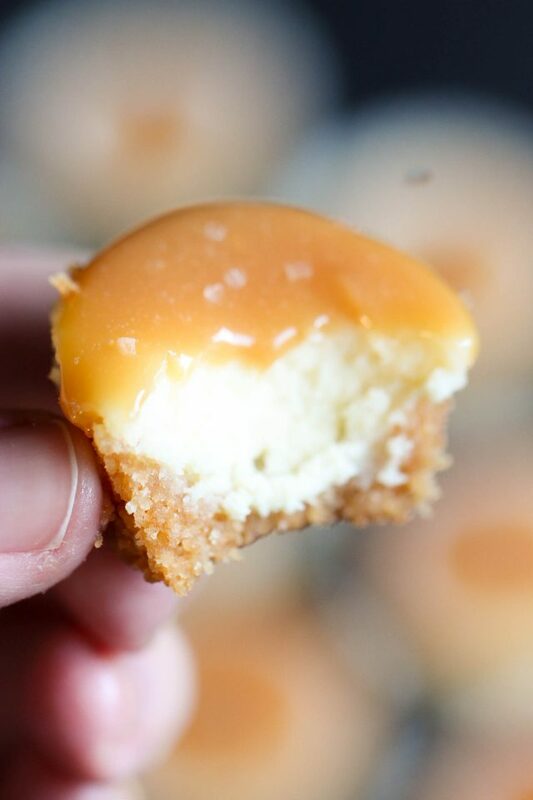 Pour a small amount of salted caramel over each mini cheesecake. Top each with a pinch of coarse salt. Musselman’s FREE Apple Butter E-Recipe Book! I didn't see eggs in the ingredient list but directions say cream eggs with sugar and cream cheese. Could you tell me how many eggs you use. Thanks for the recipe. You have eggs in the directions but NOT in the ingredients. How many eggs? How do I make cheesecake in the Instant Pot?